Angela T Smith – It was during Dr. Smith’s medical research work in Manchester, England, from 1978-1981, that she began studying alternative philosophical and parapsychology topics. She had Out-of-Body Experiences (OBEs) and intuitive experiences since childhood. In Manchester Angela attended parapsychology conferences where she learned about the nature of OBEs and other parapsychological phenomena. She also took part in OBE and lucid dream research. as an external participant, with the Psychophysical Institute in Oxford.In 1981 Dr. Smith emigrated to the United States and held several administrative positions before gaining a research post with the University of Medicine and Dentistry in New Brunswick, New Jersey. In 1986, Dr. Smith’s interest in human consciousness prompted her to become a research participant in Ganzfeld and microPK studies at the Psychophysical Research Laboratories (PRL), located in Princeton Junction, NJ. Unfortunately PRL closed, due to loss of their funding, and they recommended her to volunteer at the Princeton Engineering Anomalies Research (PEAR) Laboratory at Princeton University, NJ in 1986. Dr. Smith volunteered at PEAR through 1988 and was then hired as a member of the research staff. She worked at PEAR until the Fall of 1992. PEAR was involved in many different research projects during that time. including: Precognitive Remote Perception (PRP) and Human-Machine Interaction (micro-PK) studies. In 1992, Angela relocated to Las Vegas, NV, to liaise between PEAR and the University of Nevada, Las Vegas (UNLV) as Research Coordinator with the Bigelow Foundation. 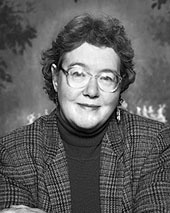 Angela’s work with the Foundation preceded the Consciousness Research Laboratory and the Chair in Consciousness Studies that were ultimately established at UNLV. She left the Foundation in 1994 to continue her graduate studies and to write. In 1994, Angela began teaching remote viewing methods and techniques courses in Nevada. Between 1997 and 2002 Angela traveled across the country and abroad to give courses in extended remote viewing (ERV) including: California, Montana, Vermont, Australia, Canada, and New Zealand. She took part in many media interviews and a TV documentary of her remote viewing course. In 1997, Angela decided to expand her own consciousness training and took the Gateway Program at the Monroe Institute in Faber, VA. In 1998, she also completed a Basic course in Controlled Remote Viewing (CRV) with Paul Smith at Remote Viewing Instructional Services, Austin, TX. Also in 1998, Angela audited a Scientific Remote Viewing (SRV) course offered by Dr. Wayne Carr of the Western Institute of Remote Viewing. Then, in 1999, she continued her remote viewing training by taking a Controlled Remote Viewing (CRV) course with Lyn Buchanan at Problems<Solutions<Innovations, Alamogrodo, NM. In 2002 Dr. Smith established The Nevada Remote Viewing Group, in Boulder City, NV, where she teaches Controlled Remote Viewing (CRV), Extended Remote Viewing (ERV) and Applications Methods, carries out remote viewing applications, and is a writer and a researcher.In 1999, Angela became a founding member and a Director, of the International Remote Viewing Association (IRVA) and helped organize some of the first remote viewing conferences in Mesquite, NV (2000); Las Vegas (2001) ; and Austin, TX (2002) and has presented papers at the IRVA conferences. She continues to write, teach and carry out applications work in Boulder City, NV. Diary of an Abduction – 2001 Hampton Roads Publishing Company.